Lets face it. The stock LS ignition coils are pretty ugly, all things considered. While GM’s design is phenomenal as far as function is concerned, they don’t exactly make for the cleanest engine bay ever. A lot of builders even go as far as to relocate them and hide them out of sight for this exact reason. 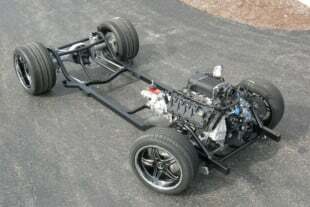 But the guys over at Hot Rod Dynamics have an easier, and better looking, way of cleaning up your bay. Enter Hot Rod Dynamics’ new CNC-machined billet aluminum valve cover caps. These discreet valve cover caps hide the factory coils under a custom machined plate that not only hides the coils, but provides a new mounting location as well. This eliminates the need for custom fabrication and keeps the coils close to the plugs, avoiding the excessive resistance of lengthening the spark plug wires during relocation. 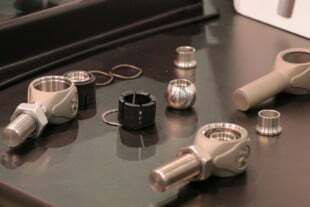 The caps are machined from a solid billet of 6061 aluminum and designed to cover the stock valve covers as well, giving the appearance of a solid one-piece valve cover. Since the caps utilize the stock valve covers, any baffling in the factory cover is retained, eliminating the necessity for an external catch can system and providing superior oil control. 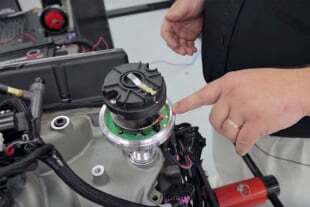 Not only can the caps be painted or polished to match any application, they are also available with either black or silver mesh on the coil covers, and black or bright machine on the oil filler cap. They can also be ordered with or without the PCV hole option on the left side cap. Hot Rod Dynamics says they’ll work with center bolt LS1, LS2, LS3, LS7, L99, and most truck valve covers. So, if you’re looking for an easy way to clean up your engine bay, look no further.